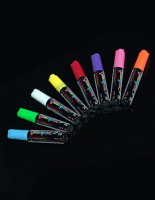 This White Erasable Marker Makes a Statement on your Glossy Blackboard! This Dry Erase Board and Chalk Alternative is for Modern Times! 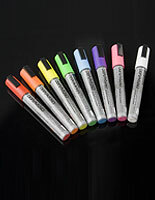 This White Erasable Marker is Great for Advertising Wares, Services, and Specials! Update messages as needed with this white erasable marker that will dry quickly and stay put. 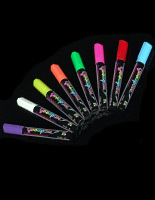 This color stick should not be used outside, due to the effect of rain or snow on the ink. This wet erase board stick, also known as white erasable marker, will be shipped in a 3-pack so merchants won't run out of ink! This chalk stick will dry rapidly so the ink will not run. 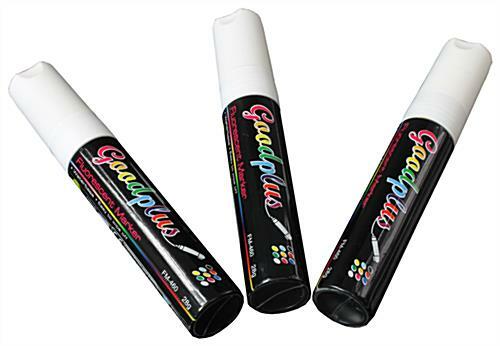 The tip is 5/8" for intricate drawings and text messages on a glossy white or black board, write-on LED signs, piece of glass or window. 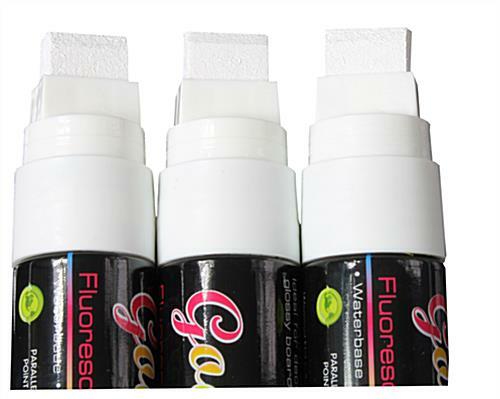 This white erasable marker can often be spotted at bars, cafes, restaurants, retail stores, auto showrooms, libraries and classrooms so they are extremely versatile. 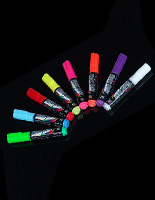 This bright stick, also known as an alternative to chalk and a dry erase board, is a water-based on non-toxic, so appropriate to use in schools or libraries around children. 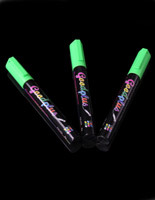 Remember how traditional chalk left behind a dusty residue? 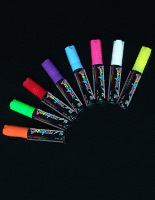 These liquid pens only leave behind your message! Make a mistake? No worries, this white erasable marker wipes clean with a wet cloth.